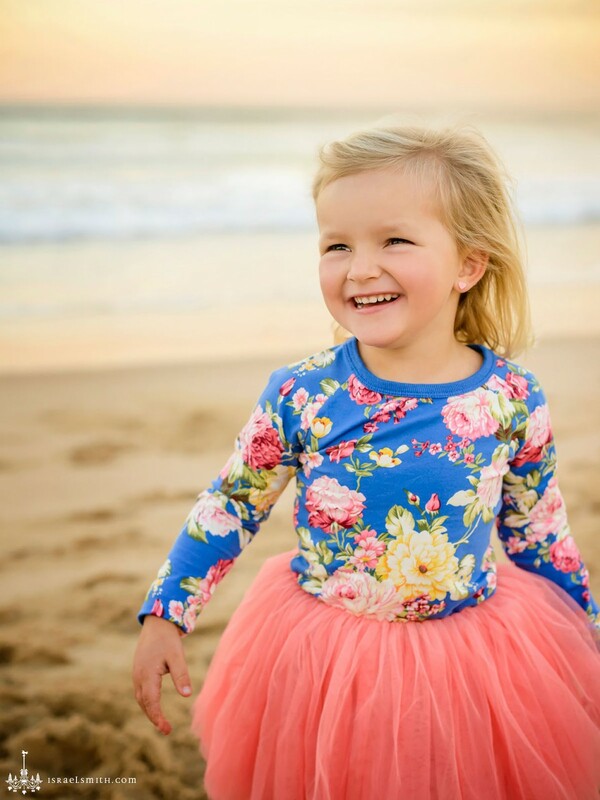 About two years ago I photographed some beach family portraits for Rebecca’s sister at Coogee Beach. 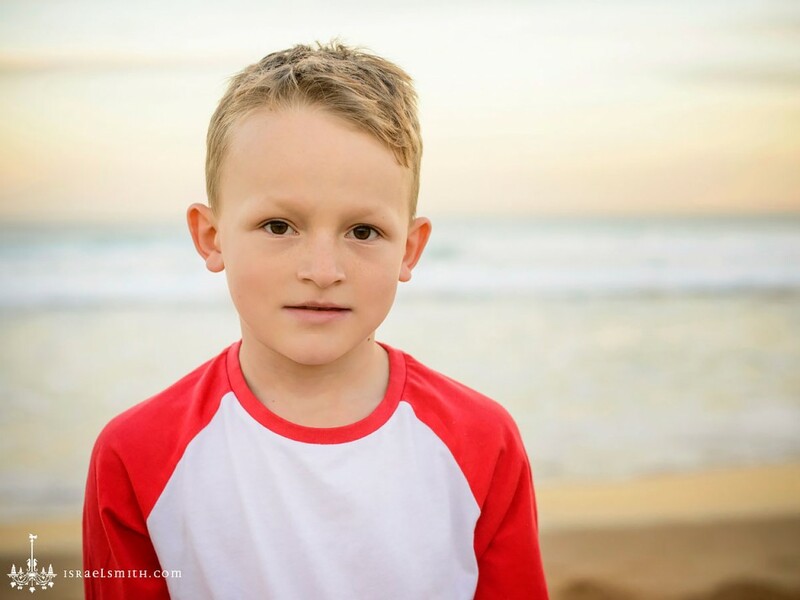 This post, however, is about Rebecca’s family, down at Wanda Beach near Cronulla. We met late in the day on what was a bit of a sketchy, cloudy day. 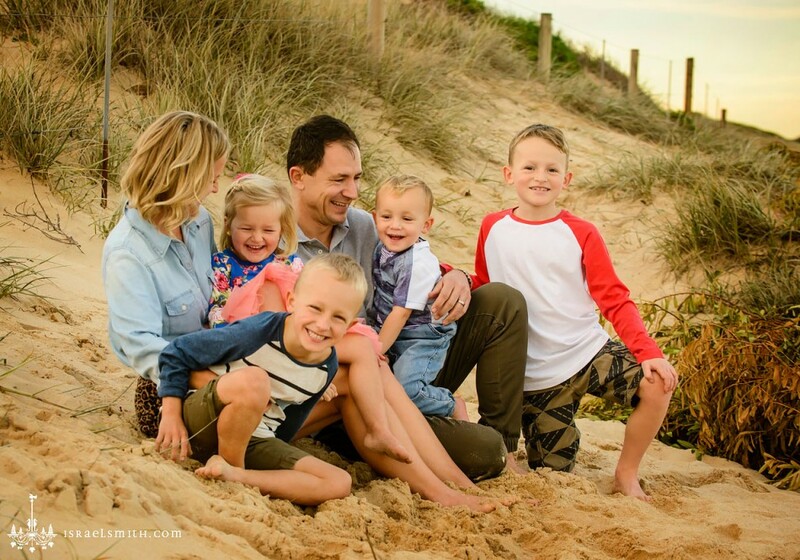 I had my doubts that we’d even go ahead due to the weather, but it finally came good for their beach family portrait session, and we got some amazing light for the shoot. 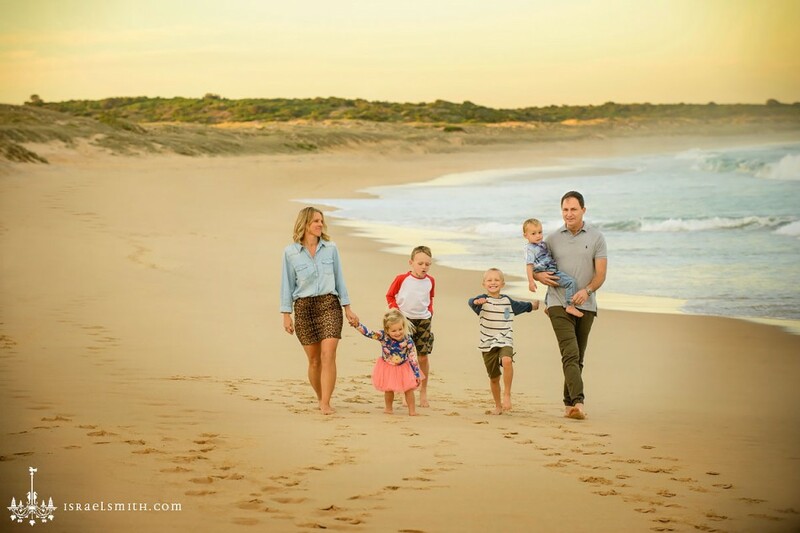 The first image above is Rebecca’s favourite family portrait of their family, and is now hanging on their living room wall, as a large feature frame – the photograph alone is 1m wide! This sums up exactly why I choose to photograph families on location – and preferably at locations that they love and visit with their family. 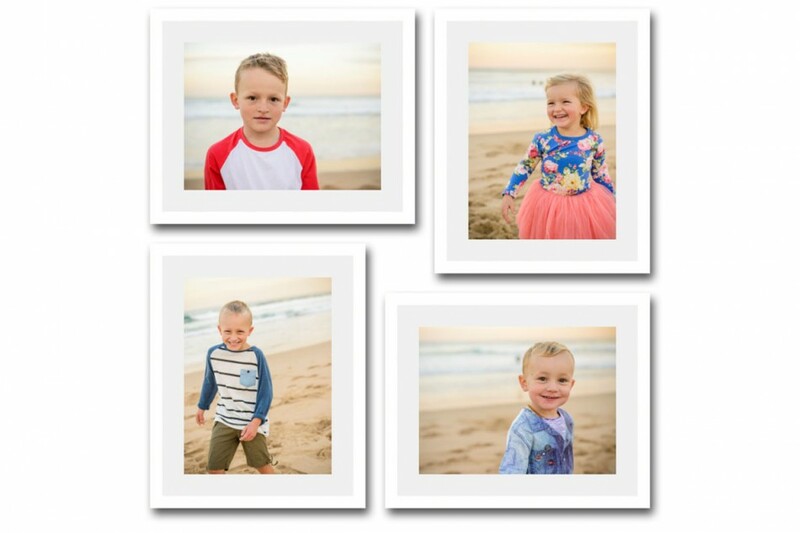 It gives the family portraits such a sense of place, and makes them more resonant and significant to the family, than if they were captured in front of a plain studio background. 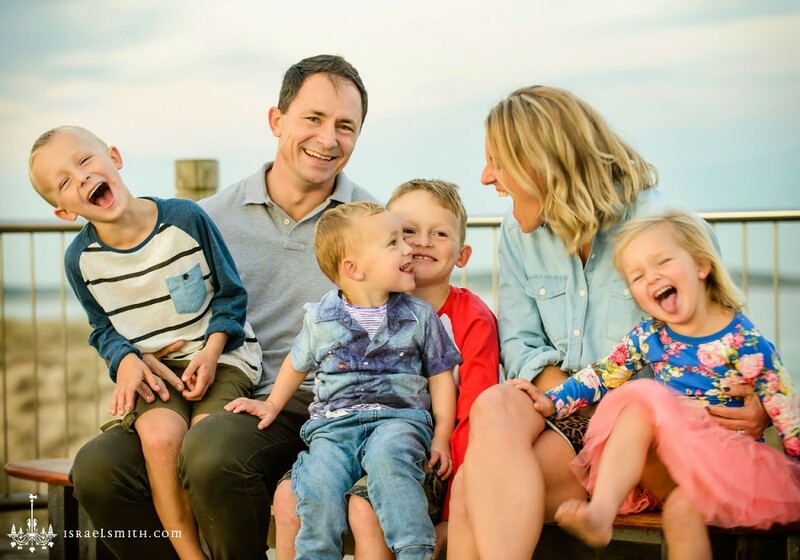 To me, that family portrait shows such personality – the eldest son was more reserved, the next son (blue striped shirt) was an absolutely cheeky character, the daughter was a princess with a giggle streak, and the youngest boy (in Dad’s arms) was happy to go with the flow. Mum and Dad did their best to have fun as well as keep the kids from running miles away on the open stretches of sand. For the most part, they succeeded! 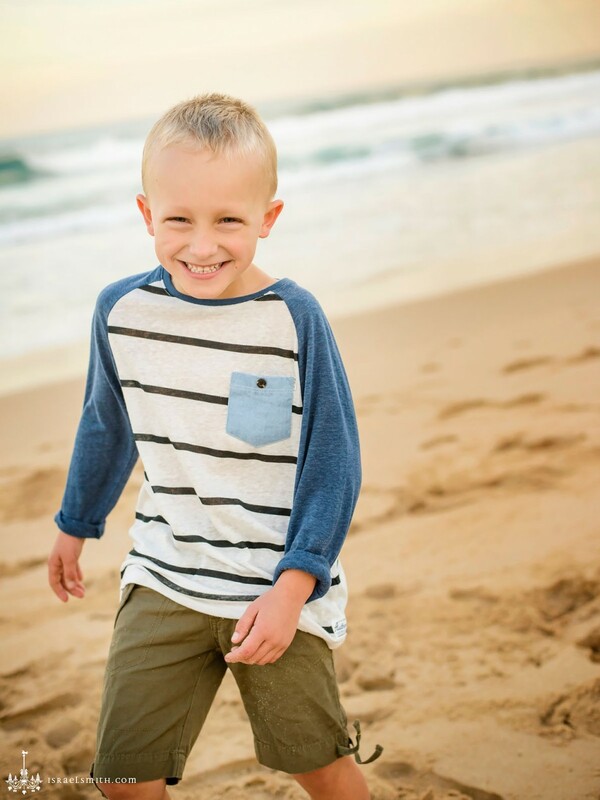 The rest of the shoot was filled with plenty of laughs, lots of fun, and some real character from the kids. I had a great time, and so did Rebecca and her family. I LOVE the family portraits Rebecca and Gary chose – besides the hero shot for the living room – they have so much love, fun, and crazy in them. They’re awesome! 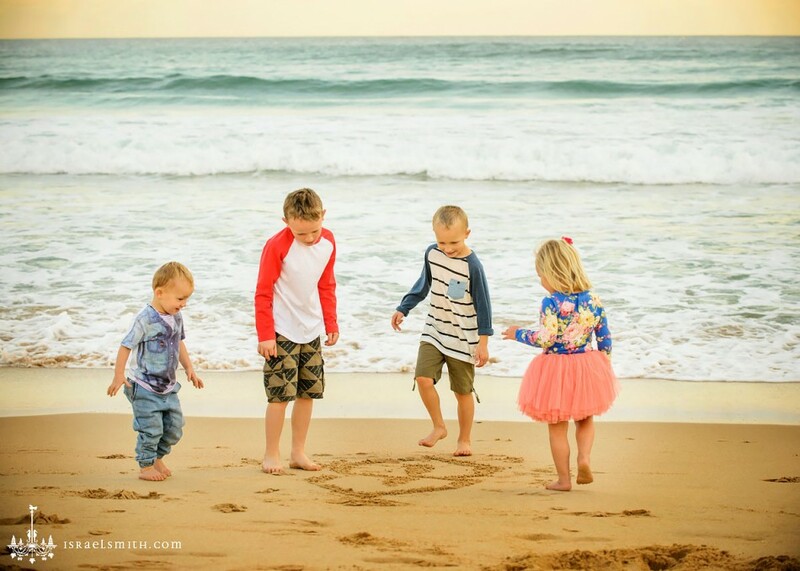 We all loved this shot of the four kids just hanging out by the ocean, drawing stuff in the sand. Most parents get freaked out by shots like this – comments like “But I can’t see the kids’ faces!” are very common. However, I look at it differently. Firstly, this is a shot all about a moment of connection between siblings. 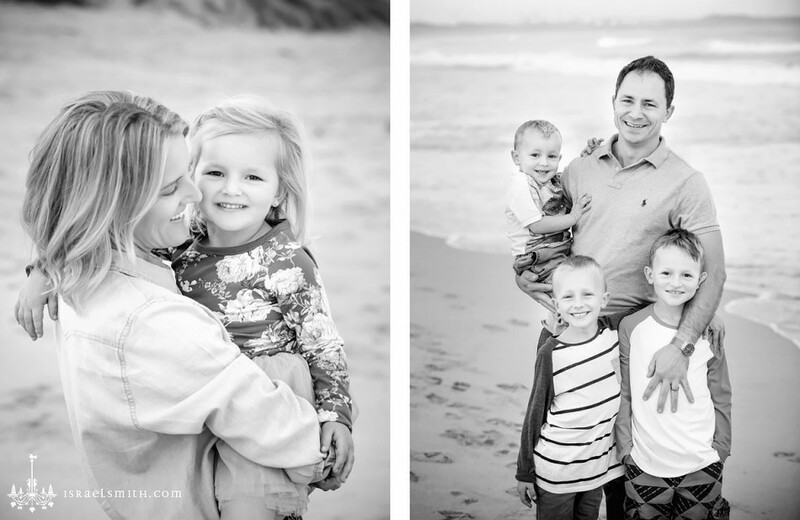 Secondly, this is only one part of a much larger collection of beach family portraits. We just saw four striking face-study portraits, which show the kids expressions and faces close-up. This shot, by contrast, shows how they interact together. Thirdly, this image is a shot all about the context and landscape of the beach, that is so significant for the kids now, and will be even more so in years to come. 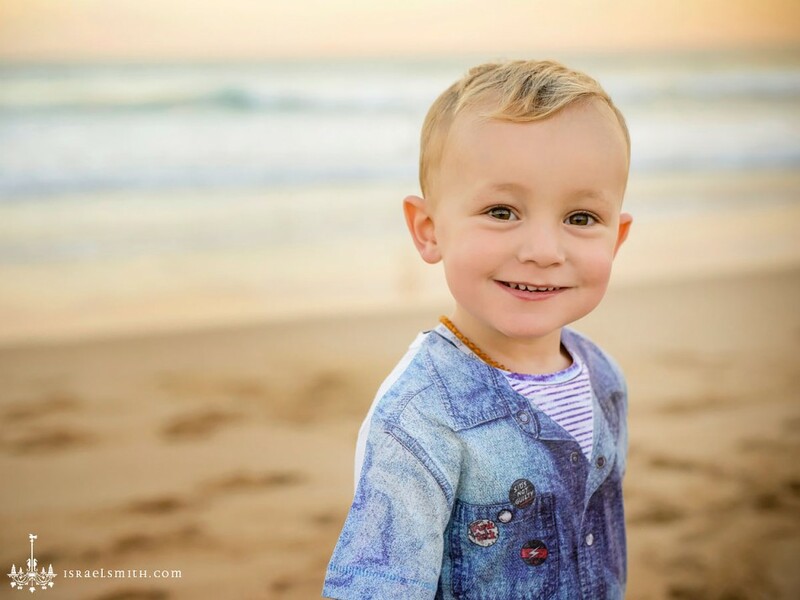 Remember, there’s only a short amount of time left to book in a family portrait session with me before we leave Sydney. Call Dorothy or myself on (02) 9665 0800 or email us on info@israelsmith.com.